We have a city: Paraty, Brazil. We have dates: August 27-30, 2014. Now it’s time to create programming for the 5th International Urban Sketching Symposium! 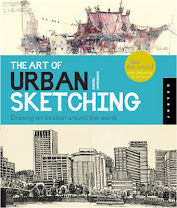 To do that we need YOU, urban sketchers of the world, to submit proposals for workshops and extra activities before December 20, 2013. These are the workshops that have been a mainstay of past Symposiums. You can see some samples here. In previous years we offered 3-hour workshops in the morning and the afternoon. This year we are tentatively planning for 3.5-hour workshops during the morning only, with other programming in the afternoons. Selected proposals will be announced in January. Compensation: If your proposal is selected, the Symposium organization pays for airfare and five nights of accommodation. Local instructors who will not need to travel will receive an honorarium. Organize a "follow me" sketchcrawl in Paraty. People will draw where you lead them and rely on you for tips to become better urban sketchers. This is your opportunity to earn some cred and promote your work! We are looking for sketchers with previous experience organizing sketchcrawls. Enlighten participants with a sketching-related talk. Whether it is about your own sketching, or the findings of your research on 19th century artists reporters, we want to learn from you! Show us how you do your magic! What can you show other sketchers that will inspire us while promoting your work? Surprise Us With Something We Haven’t Thought Of! Do you have another activity idea that can take place over a few afternoon hours? Yoga for sketchers? How to find the best fire hydrants for sketching? Tell us how you can catch the sketchers’ attention and passion with something different from a workshop. Compensation: If you are selected for an extra activity as mentioned above, you will receive free registration for the Symposium. We recommend you to get to know Paraty’s possible workshop locations before you create your proposal, in order to match your workshop theme with the city’s environment. Click here to view photos of the locations posted in our Facebook page. 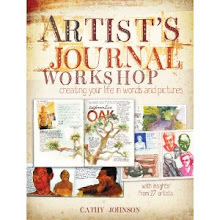 You can propose a workshop for a general location or for a specific spot. You should keep in mind that workshop locations are subject to change and the Workshop committee reserves the right to make the best arrangements / combinations of workshops and locations. Keep in mind the weather: "Dry season (May through September) - The average temperature in Paraty during these months ranges between 17 and 25 °C (62.6-77 °F). We recommend bringing a light sweater for the evenings and chilly nights, as well as sunglasses, a cap or hat, and shorts for the hot days." All proposals must be emailed to symposium@urbansketchers.org. If you are proposing a workshop, you must use this form and include sample sketches.. NOTE: Are you planning to attend the Symposium as a participant? 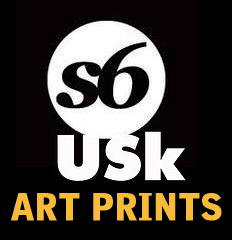 Subscribe to our USk Paraty mailing list to be notified before registration opens. We are looking forward to seeing you in Brazil!